May 19th, 2015 | Moving Tips. You’ve decided it’s finally time to move your business offices elsewhere. Your employees are relieved at the prospect of a bigger space, but you’re left with a host of worries about moving day. You wonder how you’ll organize the move to minimize downtown. You also worry that a subpar moving company might toss your expensive equipment into boxes, then leave you to do the heavy lifting in your new office. Fortunately, you’ve found a trustworthy moving company that regularly moves businesses like yours. You’re relieved to know that your movers are skilled in all the latest moving techniques for fixtures, furniture, and equipment (FF&E for short). Now all you need to do is plan for success. Check out our tips below to learn more about making your office’s moving day a breeze. As a busy executive, you have a business to run. That’s why you rely on moving coordinators to organize a detailed, pre-move task list. 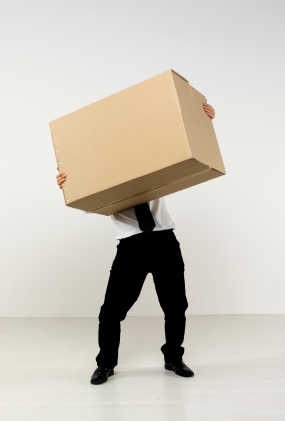 Depending on your business’ size, you also need at least one internal moving coordinator. Once you know who your internal coordinators are, meet together with them and your movers to discuss the overall framework for your office relocation. Your movers have had a lot of experience with corporate moves, so they can tell you exactly what to expect. During this consultation, ask how long a move might take for a company your size. Make sure your expectations match the reality of the movers’ timetable. Next, ask your own coordinators to map out a few details, which includes determining your move’s target date(s), preparing the new building, creating a packing schedule and coordinating utilities. This ensures that you’ll be up and running in your new space immediately after the move. Finally, book a firm moving date. Contact your IT department right away. They’ll need plenty of time to order utility setups and work with movers on equipment take down and setup. Conduct a thorough equipment inventory. Your moving coordinator should ask the heads of each department or division to tally up their desks, chairs, cabinets, printers, and computers. Even if you keep a current inventory, double check it anyway. Complete final paperwork for your new location. Meet the commercial realtor and any other officials in charge of your new business lease. Make sure the property meets your specifications before you sign. Assign employees to new office spaces. It doesn’t matter if your new building is being refurbished; you can still look over the blueprints and coordinate office locations for each department. Think about traffic flow patterns and areas of heaviest use before you make any final decisions. Create a moving-day itinerary. Everyone in the company needs to know exactly what to expect; otherwise, you risk chaos on moving day. Offer plenty of advance notice-and issue lots of reminders. Remember that your corporate movers have completed many successful office relocations before yours. No matter how much you feel tempted to micromanage the process, realize that your entire moving team has the process down to a science. If you trust your internal coordinators, department leads, and moving company, you’re already more than halfway toward a successful move. Of course, you can’t predict every detail. 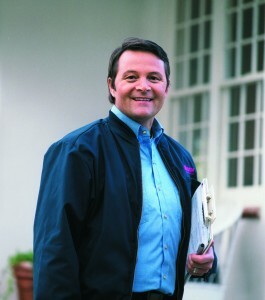 But when challenges arise, trust your movers to rise to the occasion. In the end, moving your office may turn out to be one of your smartest business decisions thus far. Onward to relocation success!